The Environment Court has heard an application to halt an aerial drop of 1080 in the Hunua Ranges, following the issue of a notice by the Auckland Council and also placed on the Auckland Regional Health Board website relating to the intention to proceed with the drop in the catchment for the Auckland water supply. The notice was given around 30/31 August 2018. This application was originally filed around 4 September 2018. 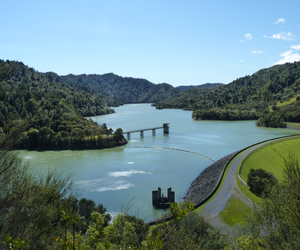 The hearing resulted in an interim order preventing Auckland Council, or any of its agents, partners or assigns, from conducting an aerial drop of 1080 in accordance with any existing authorities in the Hunua catchment before 4 pm on Thursday 13 September 2018. Subsequently, a further order was issued stating the drop of 1080 poison in Auckland’s Hunua Ranges will remain in place until the Environment Court decides on whether it will be extended or enforced. A decision on the application is expected to be released on Friday 21st September 2018.